Many students in India choose Commerce stream in Class 11 as it offers them a wide range of career opportunities after their completion of Class 12 that will bring them a sense of financial security and make them successful. What most students do not realize is that like Science stream, students need to have a certain inclination towards commerce as well to attain success in this field. Studying Commerce as a stream can be defined as a study of business activities such as sale and purchase of goods and services from the producer to a buyer. The important subjects taught in the school curriculum of 11th and 12th are Maths, Economics, Accountancy, and Business Studies. All subjects being tricky and challenging, students often face trouble preparing them for CBSE Board Exams. 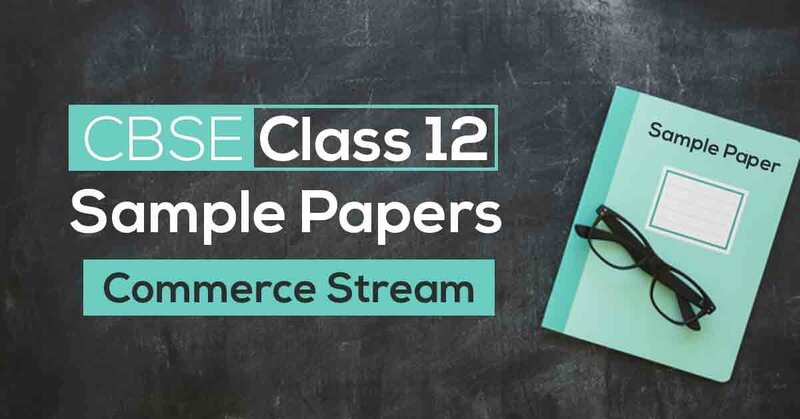 CBSE Class 12 Sample Papers for Commerce Stream are the perfect tool for Class 12 students to prepare for board exams effectively. 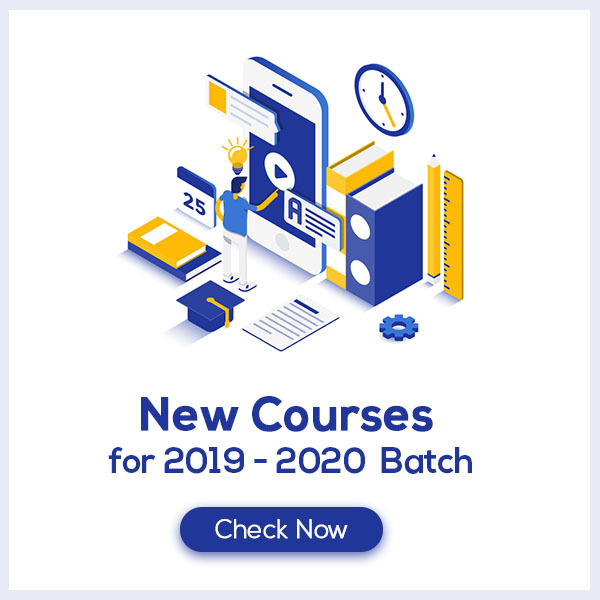 Class 12 Sample Papers for CBSE Commerce Stream entails all the tricky questions, cover the important topics and include the frequently asked questions to provide students a wholesome idea of the CBSE Board Exam Pattern. Practicing CBSE Class 12 Sample Papers for Commerce will thus strengthen their foundation and help them score maximum marks in the board exam. Considered as one of the toughest subjects in Commerce stream, Economics is studied in two parts—Micro and Macro. Both the parts are equally challenging for the students. Economics in not just theoretical concepts, but includes graphical representations of quantities and various numerical problems as well. Solving CBSE Class 12 Economics Sample Papers will provide students ample practice to master both the parts of economics and thus gain maximum marks in the board exam. CBSE Class 12 Economics Sample Papers are in accordance with the latest examination pattern and include important questions from both the parts of Economics which help students to enhance their board exam preparation and boost their confidence which would ultimately fetch maximum marks in the exam. Accountancy, or commonly known as Accountancy, is a subject which requires immense practice to master. Many students think that Accountancy and Maths are similar in nature. This, however is not true at all. Though both have certain similarities like, both include theory to understand concepts, both include illustrations, however they are not the same. While Maths include numerical problems, Accountancy is totally different with balance sheets, entries of debit and credit. CBSE Class 12 Accountancy Sample Papers include all important topics like Depreciation, accounting ratios and many more which will strengthen the foundation of students, thus helping them score maximum marks. CBSE Class 12 Accountancy Sample Papers are created strictly according to the examination pattern as issued by CBSE Board. Along with all important topics, these sample papers for Class 12 Accountancy include the frequently asked questions to provide students with ample practice and teach them how to manage time well. Maths is one subject which requires students to put in as many efforts as possible. Hours and hours are spent in practicing the concepts from various reference books, going for NCERT Solutions and Math Formulae but none of them give the students the X-factor that they need to secure maximum marks in the board exams. CBSE Class 12 Maths Sample Papers provide the right amount of practice to the students which solidifies the concepts in their mind and help them produce accurate and precise answers in the board exams. This helps them to achieve a solid 100 in the result. Business Studies is the only subject in commerce which mostly focusses on theory rather than numerical problems. In this subject, the student learns about business planning, organizing and management. Along with business, it also teaches how to manage finances and markets. Class 12 Business Studies Sample Papers offer students with frequently asked questions and cover all important topics which helps them to strengthen the foundation of the concepts and score maximum marks in the examination with accurate answers.